Many residents and property owners are very concerned about potential property damage to privately owned strawberry guava trees and potential negative health impacts caused by the biocontrol insect, T. ovatus, released in Volcano and Waiakea last year. The state needs a biodamage mitigation fund to pay for private property damage from biocontol releases. Without this fund, the state is putting property owners and residents at risk without a guarantee of ability to compensate victims. The problem is that biological control is not area specific, but spreads to private property. If the government used herbicide and there was over-spray that damaged private property, then the harmed parties must be compensated for damages, according to the Hawaii and U.S. Constitutions. The same should apply to biocontrol agents floating or flying onto private property to infest trees. What is the government’s plan to mitigate the property damage to privately owned strawberry guava trees if they suffer in appearance and fruiting by this biological control release? Are there guidelines and procedures recommended by the DOA whereby people can document harm to their trees and seek compensation without having to resort to litigation? How will the government compensate people for health impacts, such as allergies and respiratory problems that may result from exposure large numbers of airborne nymphs and eggs expected to be released by this insect? Please understand that for the people living in environments that have abundant strawberry guava, this insect release is seen as a potential health threat and abuse of private property rights. Your department is mandated to protect the environment, but you only consider the natural and agricultural environments as worthy of protection. However, peoples’ backyards and neighborhoods are just as much environments as are native forest and farm land. Our novel ecosystems and backyards need protection, too. 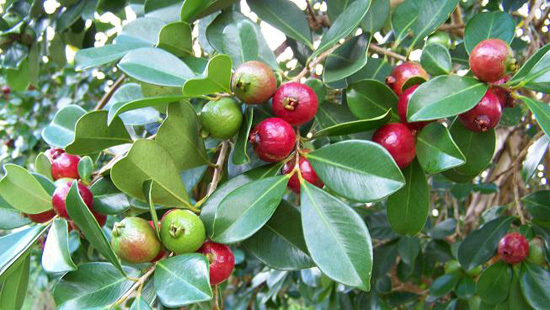 The government has been categorically labeling species as invasive, including strawberry guava. This is a big error. Species can have resource value and provide benefits in some contexts, despite being invasive in another. You need to label contextually, not categorically, and recognize that people live in different environments and have different values than those of forest or ag land managers. Private property owners are important stakeholders, and many have opposed this release against strawberry guava. The Hawaii County Council passed a resolution banning this release. There were more than 5,000 petition signatures of residents opposing this release. This means that: 1. the government is not listening to the voice of the people; and 2. if there is significant damage from these insects, everyone will know it and see it, and there will a massive outcry against the government. Future biocontrol efforts will be opposed vehemently. And litigation will be likely. Without a biodamage mitigation fund to pay for private property damage from biocontol releases, the state is putting property owners and residents at risk of suffering irreparable harm. This is neither legally nor morally justifiable. Please stop further biocontrol releases until this fund is established.